This is photo #16 (of 50) in a series about our life in Brazil. In the U.S. the most commonly grilled summer food is hamburger and hot dogs. In Brazil that is unheard of. 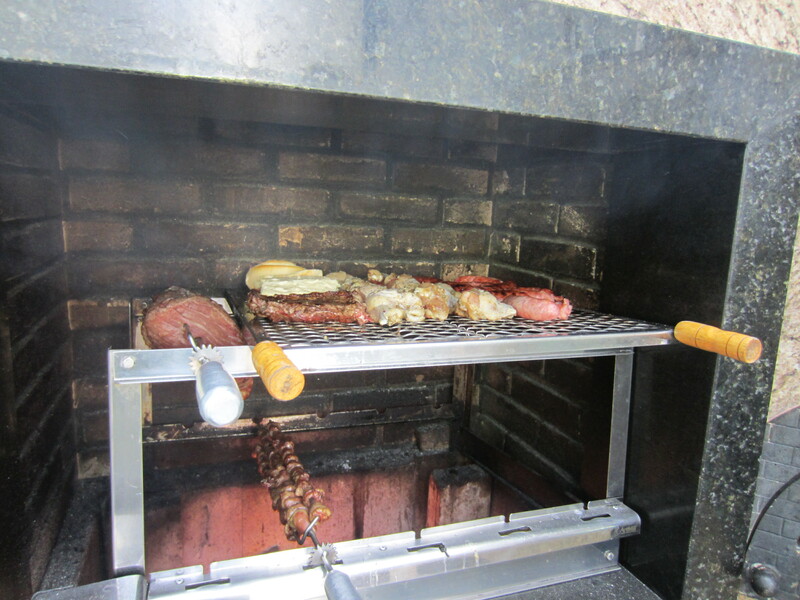 At a recent cookout we ate chicken hearts, steaks, chicken legs, garlic bread and onions – all grilled to perfection.